Police say the have killed two militants who allegedly staged the attack at the Baksan hydropower station in the Russian Republic of Kabardino-Balkaria, in which two people were killed and two more injured. The militants were identified as Orshokdugov and Seyunov, and were both on the police’s wanted list. The men were armed with two pistols, grenades and other munitions and were killed after they resisted arrest, said a spokesperson for the local police. On July 21, four blasts rocked the power plant, damaging three electric generators, while another bomb was found unexploded and subsequently defused. The explosive devices were reportedly equivalent up to 3 kilograms of TNT. The blasts set the turbine room ablaze, with the fire spreading up to 250 square meters. The firefighters managed to extinguish it in the space of several hours. The attackers, reportedly at least 6 men, murdered two security guards and beat up and tortured with knives two turbine room workers trying to find out the location of the control switches. RusHydro, the country's largest power-generating company which owns the Baksan power plant, said there is no danger of water-logging. “As a result of the intelligent work of the staff, the diversion channel has been shut off and the turbine room has not been submerged,” RusHydro representatives said. They said that only the turbine room has been damaged, and in particular two hydroelectric units and accessory equipment, adding that it is yet impossible to assess the damage. The Baksan power plant has been shut down for the moment. Even though it was providing about 7% of the republic’s power supply, the deficit amount has been compensated for by other facilities. This is the first ever attack on Russia’s energy infrastructure. Police said that the same people who carried out the deadly attack on the power plant may have also been responsible for another attack which happened earlier Wednesday morning in the city of Baksan, when a police building was attacked by unknown men with a grenade launcher. No casualties were reported there. Employees of the hydropower plant reportedly identified the attackers as members of the gang headed by militant leader Kazbek Tashuyev, although there has been no official confirmation. On Wednesday the National Anti-Terror committee reported that they have identified all the people involved in the attack – both those who carried it out and the organizers. However, on Thursday the head of the Investigative Committee of the Russian Prosecutor General’s Office, Aleksandr Bastrykin, said that investigators have not yet defined the suspects, though the active joint work with the Federal Security Office is underway. He added that poor security, which was being carried out by police staff, and the absence of fortification of the Baksan plant facilitated the attack. A manhunt for the group of attackers is underway, while security has been tightened at all energy facilities across Russia. In addition, a criminal case has been launched. Independent political analyst Vladimir Kozin thinks this attack marks a change of tactics on the part of terrorists. Political analyst Nikolay Petrov from the Carnegie Moscow Center thinks this form of attack could be a dangerous sign that the militants are switching to guerilla warfare, which is harder for authorities to respond to. However, Dmitry Polikanov, Vice President of the Center for Political Studies, thinks the attack reflects an attempt to “revive attention” to the militants’ activity in the region. Russia’s North Caucasus is believed to be one of the country’s most troubled areas, as it witnesses frequent attacks on law enforcement bodies and local officials. Suicide bombings are commonplace there. The region is also seen as a home to many militants carrying out terror attacks not only in the region, but outside it also. As the investigation has shown, militants who were trained in the North Caucasus were behind the Moscow Metro bombings in March. Earlier the notorious North Caucasus militant leader Doku Umarov threatened to start a war of sabotage in Russia. In Kabardino-Balkaria, the most prominent terrorist attack happened in 2005. 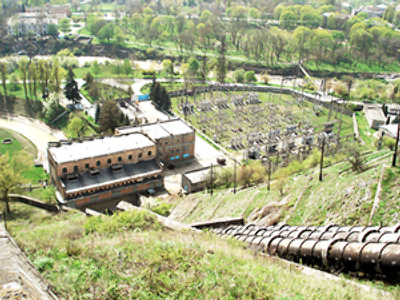 Back then, a group of militants turned the city of Nalchik into the scene of a fierce battle with federal forces. The clash lasted for many hours, and left 12 civilians, 35 policemen, and over 90 terrorists dead. More than a hundred people were injured.